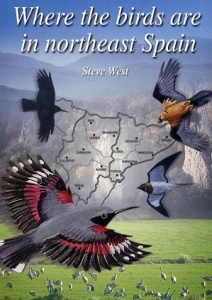 This is a birders' book written by a birder with extensive knowledge of the region. The emphasis is intentionally on the autonomous regions of Catalunya (Catalonia) and Aragon, only venturing into Navarra and Valencia either when there is an attractive site in close proximity to the border or when the site is particularly relevant for an interesting species. Rather than a traditional site guide, this is a species guide with a map of where you are likely to see them in this northeast region. The species descriptions and the complete regional checklists should also aid in the understanding of each species' status in the region. Site map section with 28 maps of the most relevant and most often cited areas.